Both parents and young children will enjoy Signed Stories. The app itself is free to download and comes with one free book, a delightful retelling of the classic Three Billy Goats Gruff. Also included with the app is “My Signs,” an American Sign Language (ASL) dictionary containing keywords from all the books on your bookshelf. To add more books to your bookshelf, you need to go to the book store, where books are categorized by color. Purple books are the most basic, while yellow ones are the most advanced. Books range in price from $0.99 to $5.99. Before purchasing a book, you can read the summary, learn why the book was chosen, and see the book's keywords that would be added to your ASL dictionary. You can also view a short excerpt from the book, which will help you determine whether you like the signer’s style before buying. There are deaf and hearing signers. 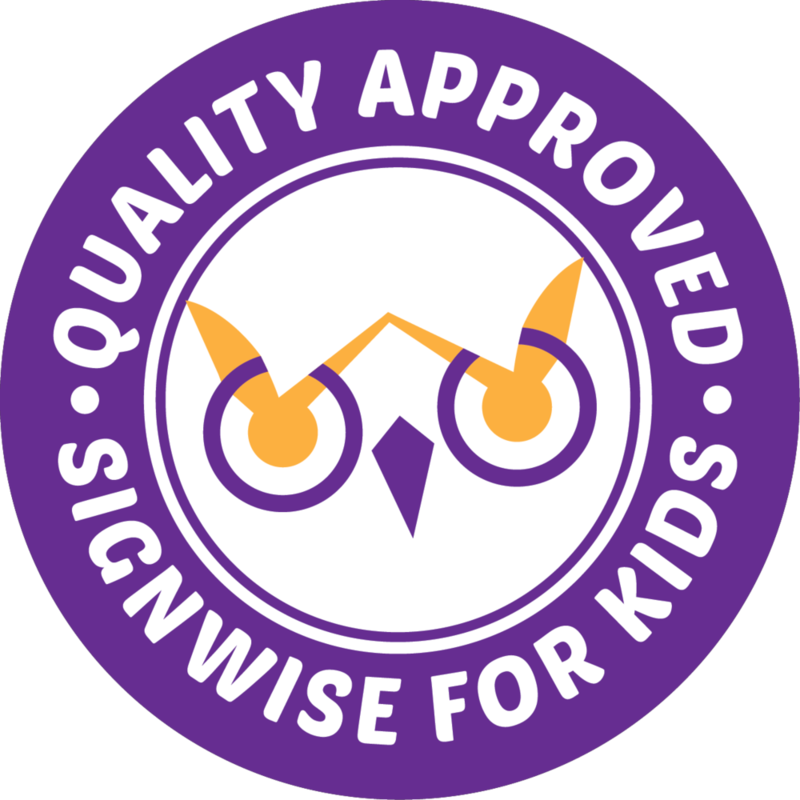 The hearing signers are children of deaf adults (CODAs), and they are very animated in their signing and facial expressions. Subtitles are included, but they are optional. New signers will appreciate the subtitles, and signers learning how to read will benefit from the English exposure the subtitles provide. Pictures are animated, but not too distracting. However, the photos/animations do not always coincide with the signing. Both ASL and British Sign Language (BSL) users will benefit from this app. When you first download the app, it asks you which sign language you prefer. You can change your preference at any time, so this can be a fun way to learn a new language. Includes a nice selection of books. You can filter the books in the bookstore by level based on the color group and/or genre. The app can be slow to load sometimes, especially when viewing all the books at once. Sometimes the illustrations do not match up with the signer’s pace, which can be distracting. The signers are either Deaf or CODAs and they are very animated in their signing and facial expressions. Young children will enjoy watching them tell stories. Signers: Keith Wann, Pinky Aiello, Peter Cook, et al.